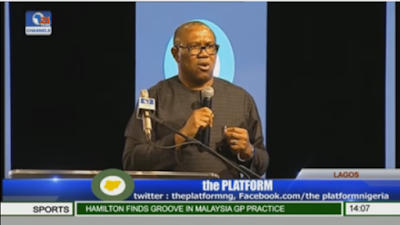 The immediate past Governor of Anambra State, Peter Obi on Saturday, October 1, 2016 bugled the minds of people with a mind blowing speech and startling revelations, while he also disclosed how he saved billions of Naira as a governor. 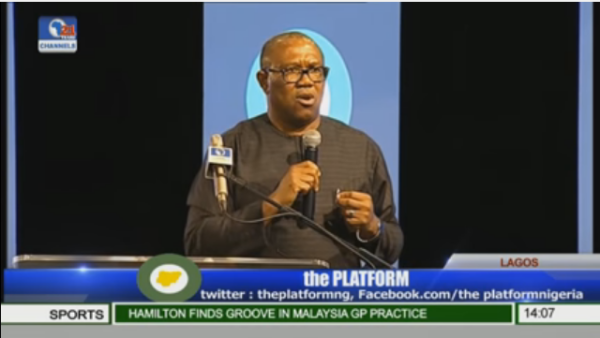 Peter Obi was one of the prolific and distinguished guest speakers at The Platform 2016, where he spoke on the topic Cutting Cost In Governance. His speech left many wondering whether there is really a recession in Nigeria. Obi with his narrative eloquence, opened the eyes of Nigerians to the huge waste of resources that goes on in the corridors of power. He beckoned on Nigerian youths to take back power, adding that Nigeria has all it takes to sustain itself. Obi went further to chide religious leaders for not speaking up against fraudulent members and urged Nigerians to desist from celebrating criminality. He narrated a story of how it used to cost him and his contingent, N10m per trip to Abuja whenever he travels (^ times every month). Obi stated he implemented a cut down in the expenses, due to the fact that he discovered that the 30 people who always traveled with him, had nothing to do in Abuja. 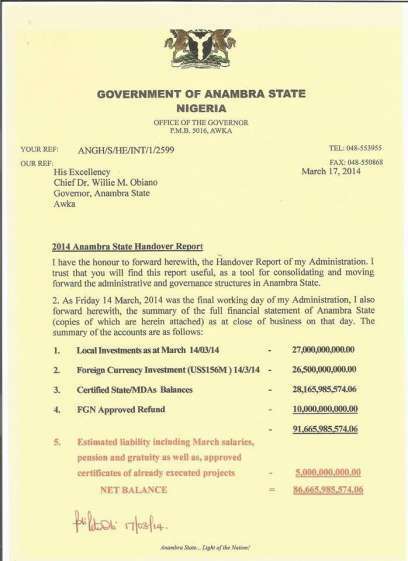 He rvealed he saved $50m and N7b in Access Bank, $55m and 10b in Fidelity Bank, and $155.4m in Diamond Bank. 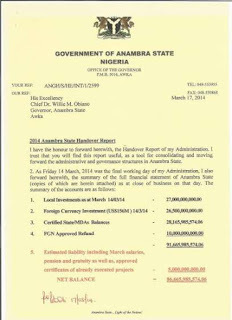 The Onitsha born business tycoon jokingly disclosed how he had to stop his cook from killing a cow every day in the Government House. up to N600b – N800b to run their office and sponsor their aides. which is run with N2b. the average number most Governors have. even started calling for him to vie for President.